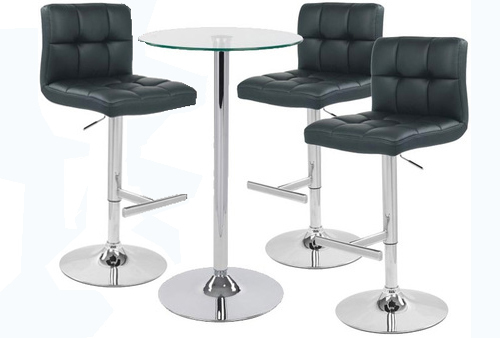 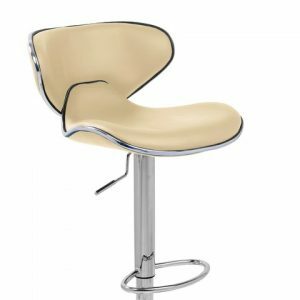 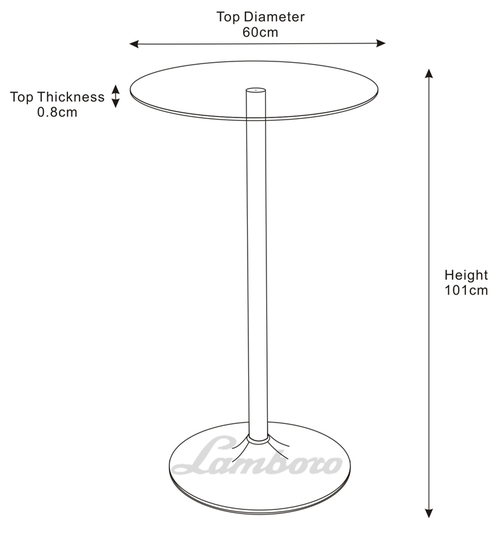 The Allegro black faux-leather set of 3 bar stools with a round glass table is the ultimate for comfort, function and style. 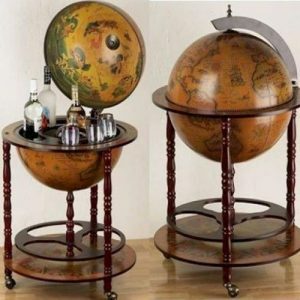 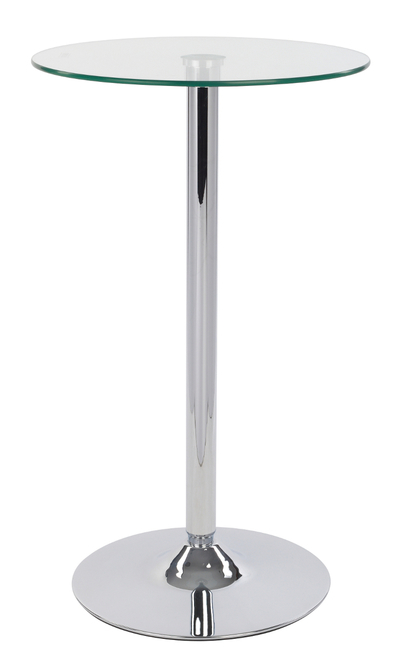 Suitable for any contemporary home. 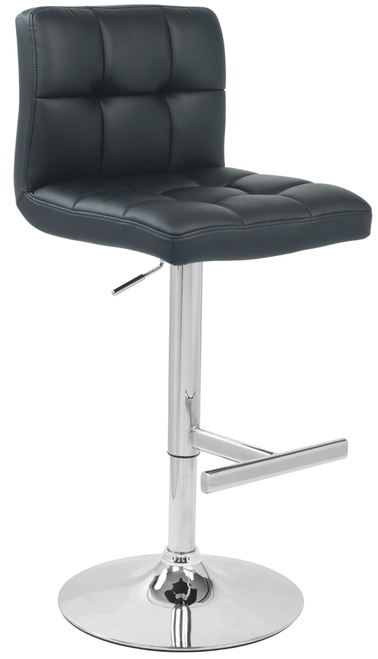 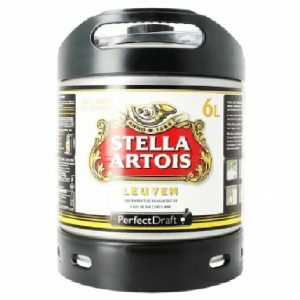 The stylish and modern design features 360 degree swivel capacity and smooth gas lift height adjustment mechanism. 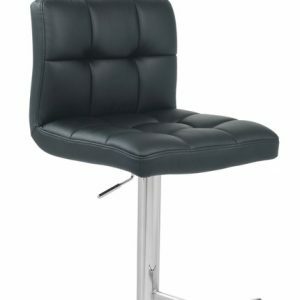 The seat top is made from soft padded black faux-leather, while the stainless steel base with the mirror chrome work finish ensures stability and gives off a beaming look that will catch the eye of anyone who passes by. 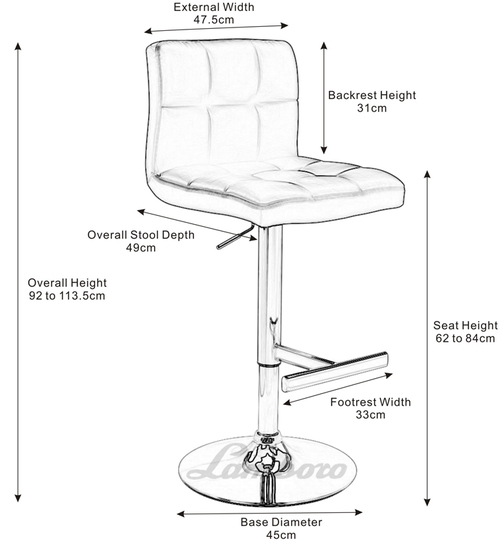 The ergonomically designed tall backrest has grooves of padded faux leather which enforces comfort to the highest level and combined with the circular footrest section means relaxing can be achieve for a prolonged period of time.